Celebrity News: Spider-Man 4 Villain Is A Vampire? Sam Raimi, Director of all movies in the Spiderman franchise, spoke in the latest issue of Empire magazine and told them who he’d like to be the featured nemesis of Peter Parker’s alter ego in Spider-Man 4. 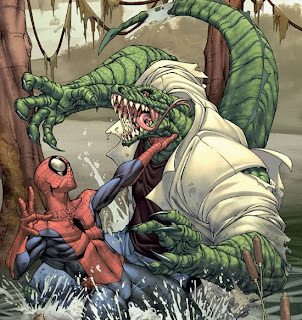 After Spider-Man 3, it was assumed by many that The Lizard would play a major role if there was to be another sequel as he was featured as an important secondary character in the movie playing a mentor-type role to Peter Parker in that film. 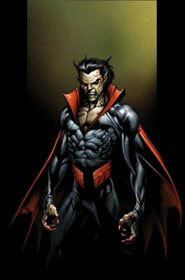 t would make sense to see The Lizard and Morbius as the two villains as they would work well together in the same film having had quite a bit of history together in the Spider-Man comics. On top of that, they share obvious similarities: Both are/were doctors, both work with different animals for their experiments and both achieved power from the same method. Dr. Curt Connors (The Lizard) had his arm amputated due to an injury sustained by a blast while being a military surgeon. Later in life he studied the limb-regenerative capabilities of lizards and long story short, he turned into a humanoid-lizard hybrid. Dr. Michael Morbius on the other hand, was a Nobel Prize-winning biochemist who suffered from a rare blood disease. Using experiments involving vampire bats and electroshock therapy, he ended up with super strength some side-effects similar to that of Vampirism and now he must drink blood from his victims. I think this is a great idea for the next Spider-Man movie and if done right, can make up for the mess that was Spider-Man 3. This time they can focus on two characters and the film can be darker-themed with the nature of the characters involved. That being said, I’m getting a little tired of all of the Spidey villains partly redeeming themselves at the end and not being truly bad. That applies for both of these characters who are not entirely bad guys. We should also not forget that Vampirism is definitely a current hot topic with the success of the Twilight books and movie which is turning into a series of films as well as the True Blood HBO series which is pre-production for a second season. What do you think of The Lizard and Morbius making their big screen debuts? Spider-Man 4 brings together Tobey Maguire and Sam Raimi yet again, and is expected to hit theatres in 2011.